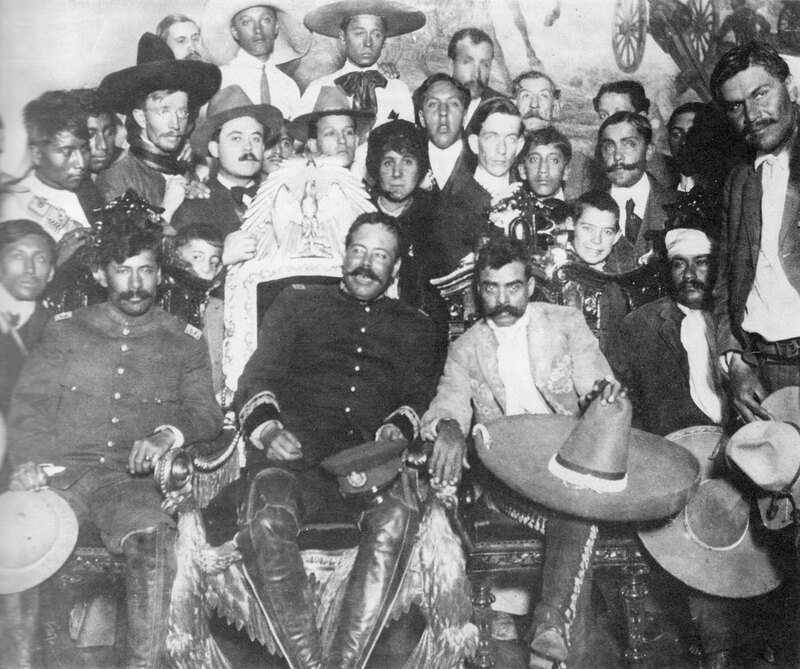 Pancho Villa, Emiliano Zapata and others at the National Palace in Mexico City - December 6, 1914. With bandaged head to Zapata's left: Otilio E. Montano. Standing far right: Rodolfo Fierro.